It was the best of classrooms, it was the worst of classrooms. 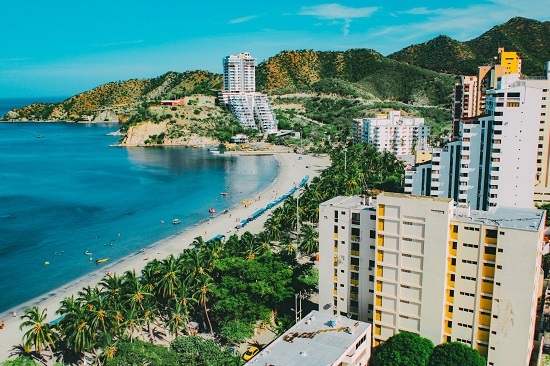 With its snow-capped sierra and arid desert, Caribbean and Pacific coastlines, virgin rainforests and sprawling urban jungles, unimaginable wealth and abject poverty, Colombia is a country of contrasts. Similarly, your time teaching English in Colombia will be punctuated by highs and lows. To be forewarned is to be forearmed, so this article aims to arm you with the information that will help you accentuate the highs and make the best of the lows. I have been coming to Colombia since 2007 and for the past four years I have lived here fulltime, teaching English privately, in schools and at universities. In the last year or two Colombia really seems to have opened up. It was never really closed but its largely unwarranted yet much maligned reputation means it was on the UK Foreign & Commonwealth Office’s no go list until recently and the equivalent body in Australia still advises “exercise extreme caution”. In response to such uncharacteristic neuroticism (voiced by a country whose sharks, crocs, snakes and other land based critters can kill you instantly) the Colombian tourist board slogan is simply “Colombia, the only risk is that you’ll want to stay”. I’ll leave the various foreign ministries to fight it out amongst themselves and just tell you that the upshot is that the previous absence of foreign travellers, let alone foreign language teachers, means that you’ll be made to feel very welcome here – particularly if you stray off the beaten paths of Bogota, Cartagena and Medellin. You’ll find lots of people keen to practice their English with you and also lots of people (some of whom fall into previous category) unable to speak a word of English – so your Spanish will improve very quickly if that is your aim. So let’s get back to those metaphorical classrooms. I know unqualified teachers who have made some good cash-in-hand backpacking money doing informal private lessons by virtue of being no more than a native speaker. Depending on your location and level of experience/qualifications you can expect to earn upwards of £10 an hour this way. There’s more demand and you can charge more in the main cities but the cost of living is higher so it’s a bit of a trade-off. Colombians work hard and long hours so if you can teach something else as well (art or maths for example) there’s some good money to be made teaching these subjects in English to the children of busy parents (CLIL is taking off in a big way here). Some of my colleagues supplement their income this way (often being paid more per hour than their official uni salaries). It’s essentially glorified babysitting, so it all boils down to what you’re hoping to get out of your time in Colombia as to whether it is a viable option for you not. You might also want to think about what you’re “giving” the society that’s hosting you while you’re having the time of your life – is taking work from a legally qualified local teacher really the contribution you want to make? The biggest barrier to working legally in Colombia is getting a work permit. For most jobs this is a prerequisite and you generally have to organise one yourself. Even British Council job adverts come with the caveat that in order to apply you need to already hold a legal right to work here. But there are always exceptions. When I first arrived I had the permit but the British Council told me to get a couple of years’ experience before applying. Contrast that with a friend of mine in Bogota, he did his CELTA at one of their schools (while on a tourist visa), was offered a job straight after qualifying and they organised all his residency papers for him. Other ways to get the permit include teaching for an NGO or one of the fabulously expensive international schools in the big cities. Heart for Change ran a volunteer programme that flew you out for two weeks teacher training in Bogota followed by a 6 to 12 month placement at a school in a disadvantaged rural or urban area. It’s run in tandem with the Ministry of Education so they organise your immigration status and pay you a monthly stipend to cover your accommodation and living expenses. I understand that a different NGO has the contract now and unfortunately an Arizonan English/Biology teacher told me that while she was paid OK some of the other volunteers kept getting paid late or not at all. At the other end of the scale are international schools. These private schools charge fees on a par with public schools in the UK such as Harrow and Eaton, thus they tend to hire English teachers and subject teachers at professional recruitment fairs in the States or Canada. I’m not aware that they visit Europe, so google their contact details and email or phone them to find out about how to get hired. My sister-in-law is a child-psychologist* at one such school in Bucaramanga, she likes to hang out with these teachers and she and her colleagues have English lessons with them on Saturday mornings. She reports that these expat teachers work hard but have a very nice lifestyle with good pay and benefits including apartments in sort after areas of the city (and a flight allowance!). It’s not for me but if city life is your thing, then go for it – it’s good professional experience and you’ll enjoy a different Colombia to that which you see in the holiday brochures or Lonely Planet. Halfway between these two extremes is working for SENA (a governmental vocational training agency). While many of my Colombian colleagues work there happily, a very talented teacher friend of mine lasted 6 months and quit Colombia to go work in the Czech Republic. I heard she’d resigned from SENA and I needed a good teacher so I offered her a job in at my uni. She told me that after her SENA experience she’d never teach or work with Colombians again. You need to know about her story because the key to success and happiness in Colombia is accepting that it is a very different culturally to Europe and you are not going to change things. The root of her frustration was the general acceptance of mediocrity that was painted over with a thin veneer of even more frustrating bureaucracy – the piece of paper seeming to be more important that the process e.g. to move up a level students don’t actually have to improve they just have to have been present for a certain number of hours of tuition. Endemic unpunctuality was the final nail in the coffin for my friend – she understood that teenage students might not turn up on time but how on earth could she instil professional values in these young people if her fellow teachers, support staff and managers can’t seem to arrive on time either. Personally I think TEFL initial teacher training should come with a compulsory module on intercultural competence. For example, once you understand why Colombians are late – they feel the person they are talking to right now should determine when the conversation ends, why it’d be rude to leave abruptly just because some arbitrary hour of the clock tells you to (even if that means arriving late to your next appointment) – it’s easier to accept and plan to do something productive while waiting for that meeting to inevitably start half an hour late. A third way to get a job with a work permit (though I have no personal or reliable second hand experience of this) is approaching one of the big corporate logistics companies (Manpower and Adecco have a strong presence here) who offer Colombian companies turn-key English training services. If you’re timing’s right you might strike gold and get them when they’ve just signed a big client and need native speaker business English trainers – as well as paying well they have the wherewithal to finesse your immigration status. The moral of the story here is to do your homework and ideally get set up with work and the all-important cédula de extranjería (ID card – which you need for almost all formal transactions as it acts like a personal identification number for tax purposes too) before you arrive. Sorting out your papers in country means a trip to one of the major cities where Migración Colombia have their offices. Once there you can look forward to joining several long queues (including leaving the building to queue up and pay for your ID card at a particular bank before returning to their offices to queue up for the final time with your receipt to receive your documents and stamp in your passport). Whatever you do make sure you get any necessary documents legalised and stamped with an “apostille”, these then need to be accompanied by a certified official Spanish translation or they won’t be accepted. Again, do this before you leave as it’s much less hassle doing it in your home country. In general you will have some great experiences teaching Colombians. I’m frequently moved to tears of joy by the achievements of my most disadvantaged students. However, there is massive socioeconomic inequality in Colombia and that extends to education too – you can almost predict the English proficiency of students before they’ve opened their mouths simply by noting which ones have Apple white phones and laptops. But no matter their proficiency, trying to teach unmotivated entitled teenagers compulsory English classes can be a demoralising and depressing experience. Universities and private language schools tend to have more motivated students but the institutions themselves are not immune from some of the frustrations that almost caused my ex-SENA friend to commit hari kari (for an academically rigorous summary of the reality of working in higher education in Colombia see this research paper). Having said that, almost every traveller or teacher I’ve met in Colombia leaves with only two regrets; that they wished they’d discovered Colombia sooner and that they could stay longer. If you have any specific questions about any aspect of teaching or living in Colombia I’d be happy to answer them in the comments section below. About the author: Donal Fogarty is a specialist teacher of adults. He teaches English for Academic Purposes at a university in Colombia and the University of Nottingham in the UK where he is also studying an MA in Education. Donal Fogarty is a specialist teacher of adults. He teaches English for Academic Purposes at a university in Colombia and the University of Nottingham in the UK where he is also studying an MA in Education.